On December 1, 2015 we were brought up for a random AKC inspection and not only passed, but were told that we're doing such a good job that the AKC inspector was unable to recommend any changes or improvements! Don't forget to "Like" our page! Please contact us for more information as not all available dogs are on the available page! 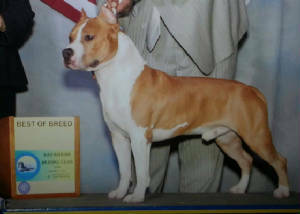 Multiple Best of Breed and Group wins! Visit our available page for information on puppies and young adults! 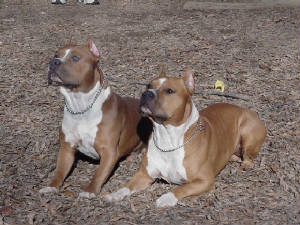 Cicero Kennels was established in 1994, although we have owned AmStaffs and APBT's for much longer. We are a family based kennel located near the Atlanta International Airport in Georgia. 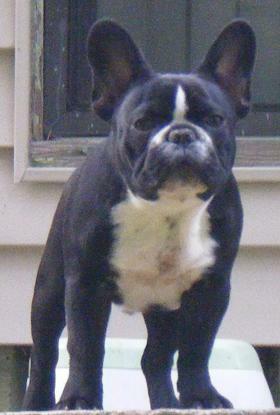 We breed for dogs of sound mind and body that conform to the AKC standard. Although we compete in conformation, we have many dogs in other homes that compete in various venues such as weight pull, Rally, Schutzhund, protection work, flyball and therapy work. Check back for updates or contact us for more information.